DotGov has teamed up with Amazon Web Services (AWS) for our SmartPub™ Platform. DotGov’s Managed Hosting Service now runs on AWS. The AWS cloud infrastructure is one of the most flexible and secure cloud computing environments available today. AWS began offering IT infrastructure services to businesses in the form of web services—now commonly known as Cloud computing. 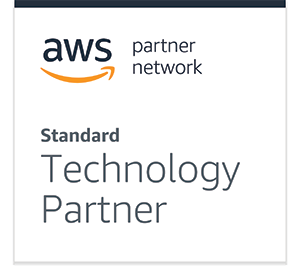 Today, AWS provides a highly reliable, scalable, low-cost infrastructure platform in the Cloud that powers hundreds of thousands of businesses in 190 countries around the world. Leidos is a science and technology solutions leader working to address some of the world’s toughest challenges in national security, health and engineering. The Company’s 19,000 employees support vital missions for government and the commercial sector, develop innovative solutions to drive better outcomes and defend our digital and physical infrastructure from ‘new world’ threats. Leidos Digital Solutions, Inc. (DSI) provides innovative IT solutions to elected officials and government offices all over the United States. Their flagship product, Intranet Quorum (IQ) delivers industry-leading digital communications and citizen service tools to over 60% of Congress, 40% of US Governors as well as federal, state and local government agencies from Hawaii to Maine and everywhere in between.